Proof that the Metropolitan Police is being privatised? London Mayor Boris Johnson has forced the Metropolitan Police to cut thousands of police officer posts in a drive to save money. 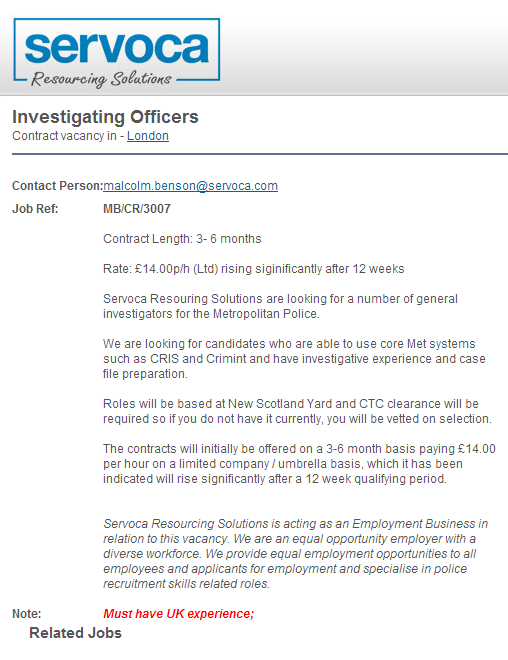 Surely paying a private company for police officers is much more expensive than employing the officers directly? Unless of course Boris’s primary objective isn’t to save money but to privatise the Metropolitan Police instead? Met drops Shapps investigation. Police running scared of Tories after plebgate?